Shreeji Scan's mansion grows Bigger - Shreeji House!! Taking a new step towards progress, we are happy to announce that we have expanded our new existing TRC (Test & Repair Center) at Vadodara. Initially, the TRC setup was spread across 8500 sq. feet. But now it is expanding its wings to 15,000 sq. feet land in on the outskirts of Vadodara. 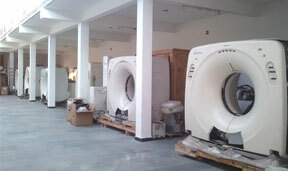 The need for such a expansion was lined up orders throughout the year. 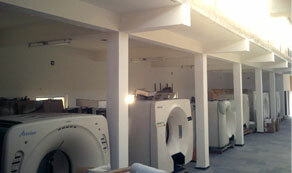 The new setup will enable us to test 4-machines at a time and a lot more space for inventory storage !! 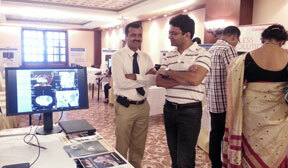 Shreeji Scan Services participated in the CTFEST CME at "The RadissonBlu" hotel in Goa on 08th August, 2013. Shreeji Scan laided 2 stalls on the grounds. 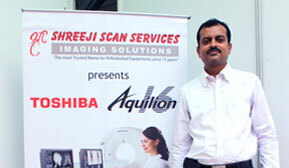 Shreeji Scan flaunted its CT workstation products in the display. 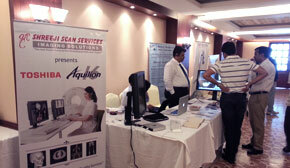 Shreeji Scan Services participated in the Radiology CME at "AMA-Ahmedabad Management Association" on 05th October, 2013. 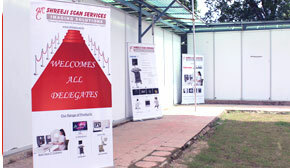 Shreeji Scan pitched its CT products in the display.